DDA is the Agency of Record for the Keystone Center, providing branding and graphic design services for a wide variety of printed marketing materials in addition to photography, videography, and other services to aid their marketing efforts. The Keystone Center, located in the greater Philadelphia region, is a unique medical facility that provides treatment for a variety of impulse control disorders, including drug and alcohol abuse and addiction, gambling addiction, and sexual compulsivity. They needed to find new ways to expand awareness of their unique programs and facilities to grow their business. Keystone Center wanted to highlight the natural beauty of its campus, centered on a gorgeous Victorian mansion built in 1891. They also needed to ensure that all their prospective patients would understand that they would be received with the kindness and understanding that is so crucial for those recovering from addictions. The Keystone Center began their working relationship with DDA in 2004 when DDA was asked to do an on-location digital photography shoot to capture the unique environment that the Keystone Center has to offer. Throughout the years, DDA has designed many printed marketing materials for the Keystone Center, including brochures, trade ads, posters, post cards, sell sheets, direct mail, and newsletters. In 2010, DDA designed some large format graphics for their trade show display, and also created a marketing video to help educate those who may be in need of their services. DDA’s photography was included in a large number of these materials, and DDA ensured that the artwork, layouts, color schemes, and branding efforts of each were consistent with all the rest, helping to confirm a perception of professionalism about the organization. A number of the printed marketing materials highlighted their facilities’ Extended Care Unit specifically, and DDA designed unique graphics, layouts, and color schemes for these materials to highlight the special nature of their extended care programs. In 2010, DDA created a seven-and-a-half minute long video to present the Keystone Center’s unique, personalized approach to addiction rehabilitation to potential patients and their families. By tailoring their treatments to each individual, the Keystone Center ensures that patients with differing backgrounds and diagnoses get the care that works best for them. DDA handled all aspects of the video production, including the video shoot, editing, and DVD mastering, as well as the final integration of the video onto the Center’s website. By utilizing DDA for all its marketing efforts, the Keystone Center ensured that its core messages and brand identity would remain consistent and engaging. 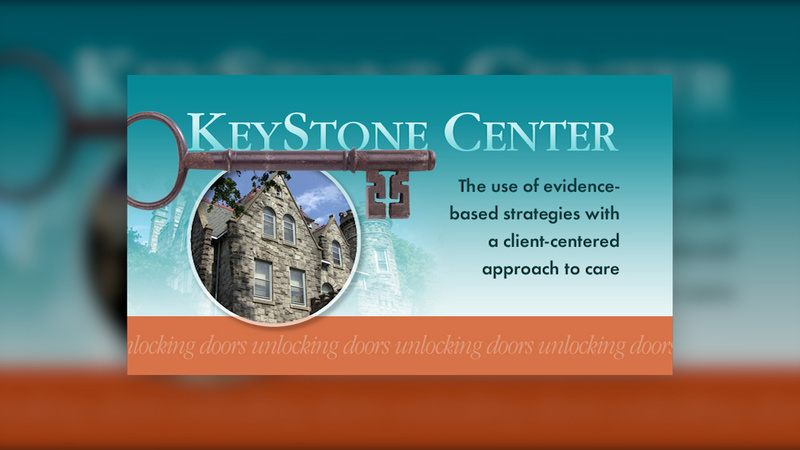 DDA helped the Keystone Center reach a wider audience, thereby furthering their mission to bring healing to the lives of those who are unfortunately often overlooked.